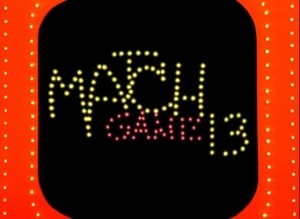 MATCH GAME IS BACK ON MONDAYS! Posted by Bruce Carroll at 6:48 pm - March 4, 2013. · She’s a contributor at RedState, FreedomWorks & Revealing Politics…it’s Breeanne Howe. And as always, I’m your host for the night! Posted by Jeff (ILoveCapitalism) at 11:32 am - March 4, 2013. I’ve not blogged or read political articles for the last 3 weeks, for several reasons. One reason was that I got a little overwhelmed by (disgust at) the sheer volume of the Obama administration’s negligence and dishonesty, on issue after issue. You just can’t blog it all. Well “I’m back”, presently scanning the last few days’ news on HotAir. There it is again! The sheer volume of Obama negligence and/or dishonesty. Any of these could make a blog post. Obama lying about the budget “sequester”, trying to panic people with a nightmare vision of the effects of its small – no, paltry – cuts to spending. Why would I use the word “lie”? Because even the left-leaning Washington Post can’t get behind Obama’s claims. Donna Brazile scratching her head about why her health care premiums are going up, a result that most intellectually honest observers knew would have to come from the Obamacare bill. Bob Woodward saying what others confirm, even including Clinton stalwarts: that the Obama administration actively seeks to intimidate reporters. What, only four items? Here’s a bonus: What happens to your city, when Democrats run it for generations? UPDATE: An Obama advisor allows, in tortured fashion, that the “sequester” cuts were their idea. So why have the Obama crew recently been pretending the opposite? UPDATE: WaPo upgrades one of Obama’s sequester lies from two Pinocchios (run-of-the-mill political lie) to four (indisputable, big lie).